Hello, lovelies~ I hope you're all doing well right now and had a great weekend. I did! 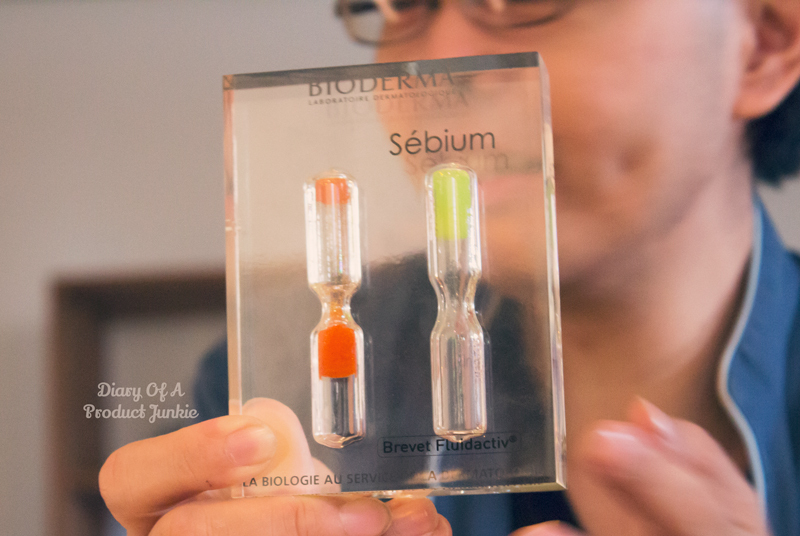 I spent it with Bioderma at KOI Kemang just right before I spent another great Saturday night with Mr. G. Not gonna talk about my date night, but my date-afternoon-ish with one of my favorite and honest brands, Bioderma. 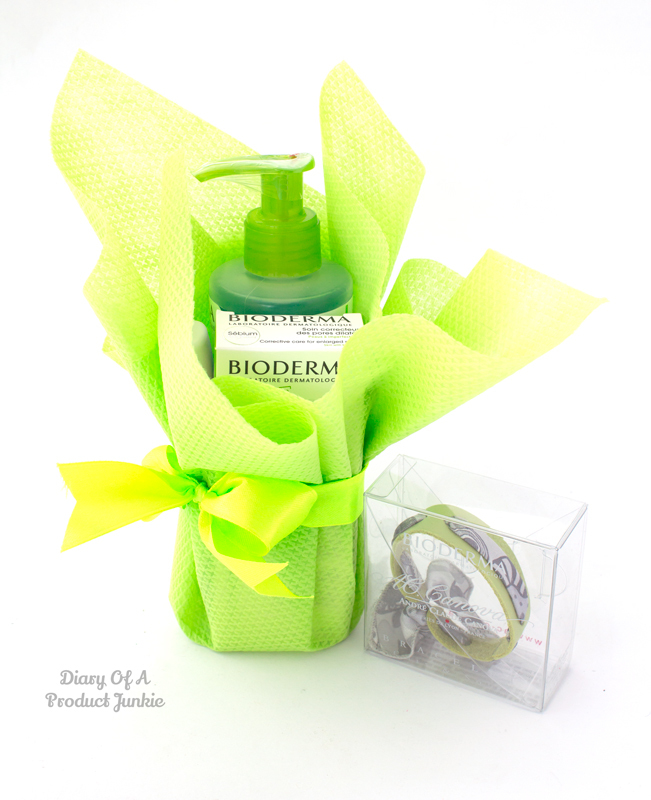 If you haven't known already, I am someone who is (and always will) in love, head over heels, with Bioderma. I have been using their Sensibio H2O cleanser for almost two years and have been loving it more each day. 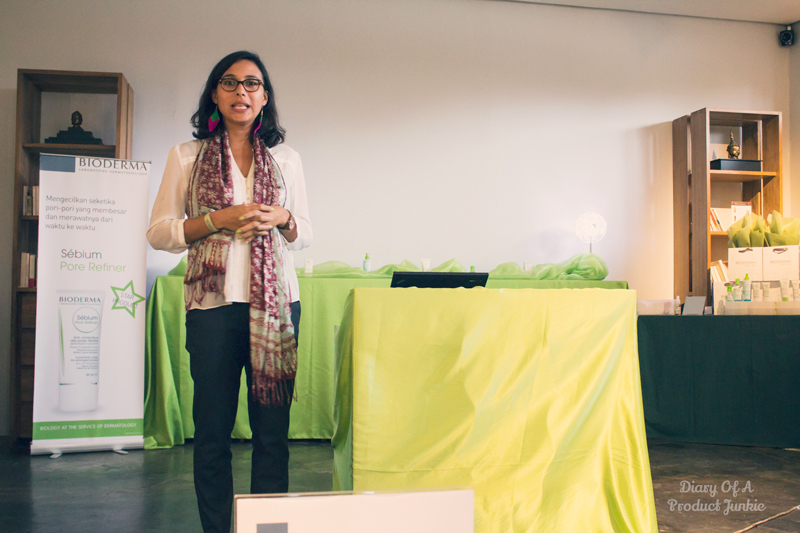 So, when I heard they were hosting another skin class, I signed up without any hesitation! I just love them that much! Before I ramble on and on about how deep my love is for Bioderma, let me tell you the event that took place last Saturday, okay? When I arrived at the venue and saw the standing banner, I was excited because I saw the word 'Sebium'. This is Bioderma's skin care line that is targeted for people who has combination skin, oily skin, and even acne prone skin, like me! 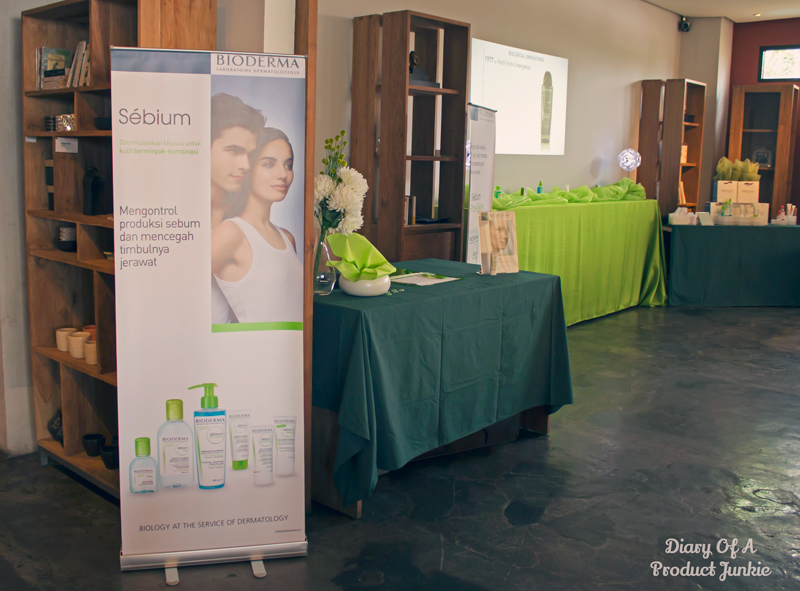 As I was the first to arrive, I scoured the room and found out that they are bringing one of their star products to the Indonesian market, the Sebium Pore Refiner. I have heard about this product two years ago when I bought the Sensibio, but haven't tried it yet. I was waiting for their Sebium H2O to be here as well because it can handle my very oily skin days. Don't get me wrong, I still like their Sensibio H2O, but I like to switch every now and then. Right. 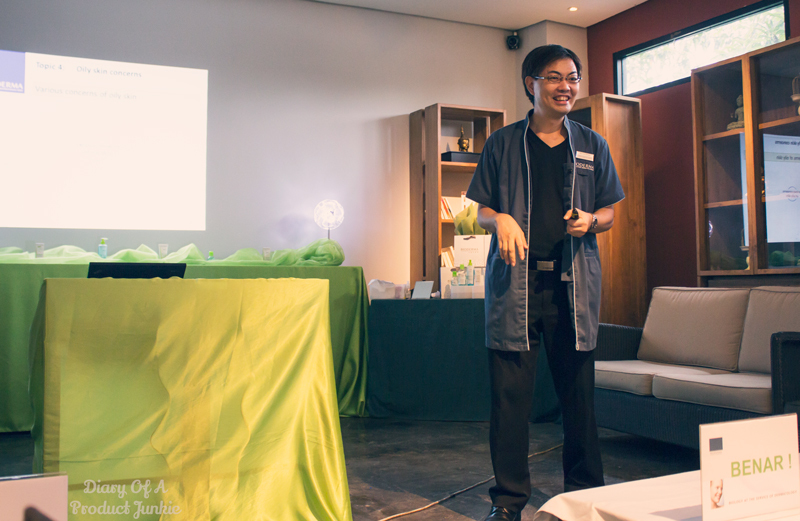 I help myself to a few cups of tea while I chatted with Yi Chieh, who is the Bioderma trainer for the Asia Pacific. He has a bubbly personality that makes him fun to chat with. 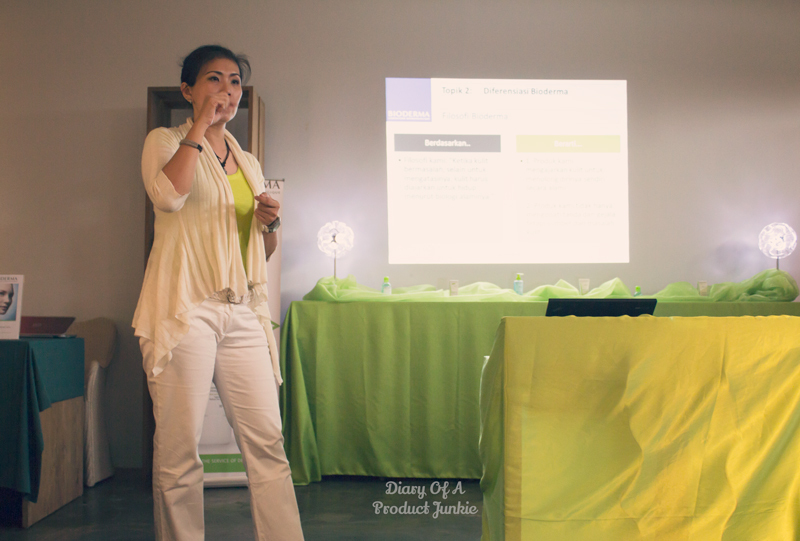 There was also Josi (Brand manager of Bioderma Indonesia) and Amandine (Marketing and Sales Director) at the Bioderma Skin Class. After some of the other guests arrived, the skin class began with opening words from Amadine and a few brief history from Josi. Being a company from Lyon, France, this skincare brand is one of the most recommended brands from dermatologist. Probably because they are formulated for specific skin concerns (dryness, acne, sensitive skin). Moving on to the most anticipated segment of the event (at least for me) is the part of the skin class brought by Yi Chieh. Remember how I said he has a bubbly personality? Well, if he's talking about skin care, it became even bubblier than before. He explained about the causes of large pores and acne, which I think I have covered in my blogs partially. I'll put the links at the end of this post if you wanna read them. 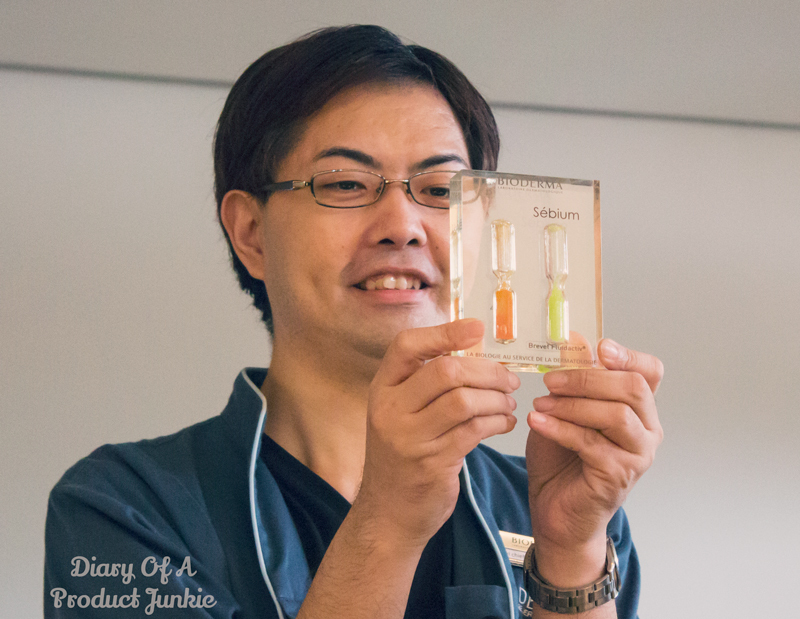 After the informative presentation, he went on to show us a little demonstration using vials and colored fluids. The reddish orange and light green fluids have the same consistency of sebum, but one is mixed with Sebium, while the other is just plain water. The purpose of this test is to see which sebum goes up faster because of the solvent surrounding said sebum. If the solvent is too thick or messes with the chemical ingredients of the sebum, then it would be slower when it is going to be excreted from the skin. As you can see, the Sebium solvent makes the sebum moves faster, thus removing it without any problems from the skin. It kinda normalizes the consistency of the sebum. With the star product being introduced, he mentioned that it was able to minimize pores and normalizes the sebum inside it. 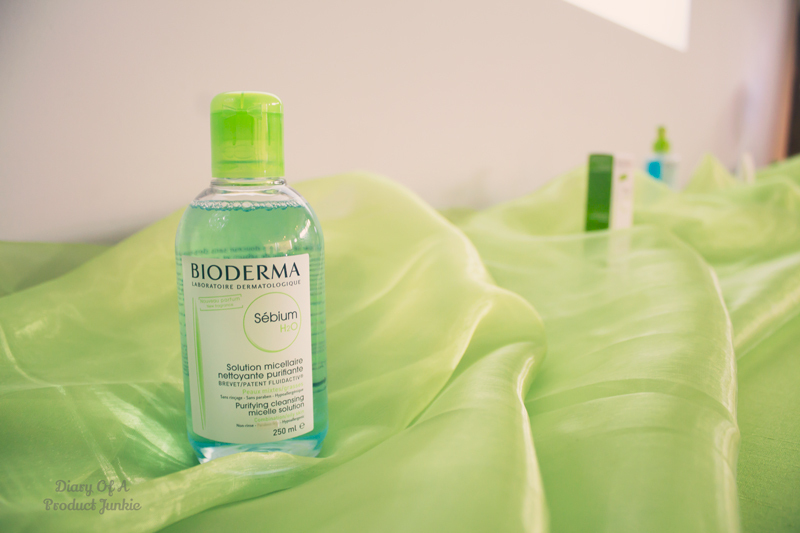 Another great point from the Bioderma Pore Refiner is the mattifying property as seen from the demonstration above. 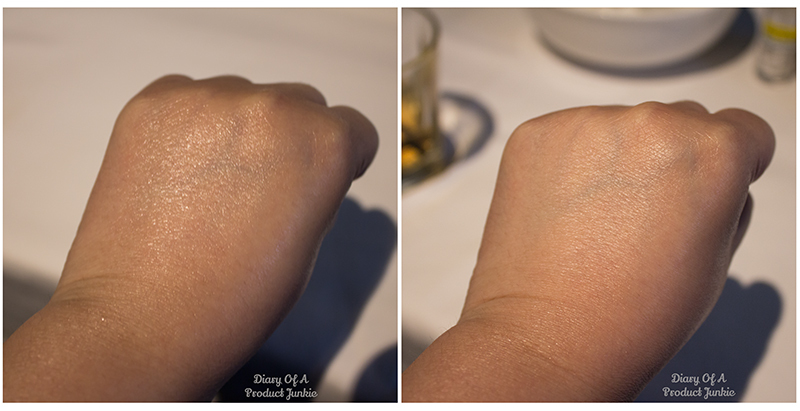 Jojoba oil was sprayed on the back of my hand on the left picture, making it oily and greasy. Once the Pore Refiner is applied, the greasiness goes away, leaving a smooth, matte finish. We also had a mini game, which is a series of true or false sentences between two teams. Our team won, yeay~ Each of us got a leather and silk bracelet from Lyon, France. It was so~ cute and chic. I love it! With that, the skin class from Bioderma ended and we were sent home with two Bioderma products to try at home before they reach the counters this April on Guardian. Thank you for a wonderful and fun afternoon, Bioderma! haii Stephanie, mau nanya donkk.. g sekarang lagi pake Bioderma Sebium Pore Refiner, baru 4 hari sih.. kalo di petunjuk pemakaian kan pore refiner ini dianjurin pake sebelum skin care lainnya.. malah disarankan sebelum toner..
Sebaiknya sih setelah toner ya karena konsistensi si pore refiner tuh lebih 'berat' dibanding yang lain..